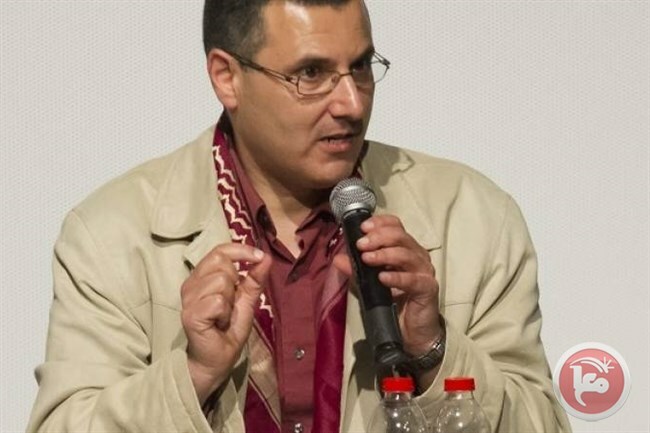 BETHLEHEM (Ma’an) — The United States administration denied entry to Omar Barghouti, a Palestinian human rights defender and a co-founder of the Boycott, Divestment and Sanctions (BDS) Movement, this week allegedly due to his political activities. The Arab American Institute (AII) said that Barghouti was barred from boarding a flight, on Wednesday, from Israel’s Ben Gurion Airport to New York for a speaking tour and his daughter’s wedding, despite having the required Israel-issued travel documents and a valid visa. AII, which coordinated Barghouti’s US visit, said in a statement that he was informed by airline staff at the Ben Gurion Airport that the US Consulate in Tel Aviv had directed US immigration services to deny his entry. Due to his role in BDS, Barghouti, who is a resident of Acre (Akka) holds Israeli permanent resident status, was barred from leaving Israel several times in recent years, by refusing to renew travel documents, which are automatically granted to Palestinians who do not hold a full Israeli citizenship.